What do the noiseless match, the Rubik’s cube and the ballpoint pen all have in common? They were all invented by Hungarians. Along with a long list of other notable accomplishments and great mathematical minds including the father of geometry, Hungary has a rich history of endeavors both big and small. When you think of Hungary, chances are it’s the hot springs and wellness centers that spring to mind, and indeed, Hungary’s tourism does appeal to those wanting long hot soaks in a variety of settings. Thermal water makes up 80% of the country, and there are over 1,500 springs and 450 public baths that allow Hungary’s travelers plenty of choice. The Szechenyi Baths are perhaps the most famous of all not to mention one of the largest spas in all of Europe. 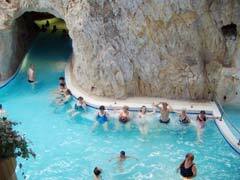 It is located in Budapest, is open year round and offers 15 different pools, some indoor and some outdoor. Vacationers can choose from an effervescent pool, a fancy pool complete with streaming water and a thermal sitting pool among others, all with water temperature that ranges from 28-38C. The mineral pools have water that naturally contains fluoride, metabolic acid, calcium, magnesium and other essential minerals that are said to help with a wide range of ailments including joint pain and faster recuperation from accidents and surgery. The Rudas Baths were built by the Turks in 1566 and still maintain an Islamic style in a bathhouse that is steeped in history and tradition. Although it is smaller than some of the others it does offer visitors a chance to see what things were like in Budapest in bygone eras. For those tourists in Hungary who like things out of the water, the Palace of Wonders may be the place for you. This museum in Budapest is where the many scientific wonders of our time come to life. It is a hands-on interactive experience that allows people the opportunity to learn through doing. City Park, also in Budapest offers travelers to Hungary a beautiful respite from the bustling city, with lakes for boating, gardens, a zoo and an amusement park all housed in close proximity to the Vajdahunyad Castle which allows for great photo opportunities. The highest point in Budapest, and therefore the best for panoramic photos is the Citadella a fortress built in 1854 to oversee the city. Visitors are free to walk up the hill to see the structure as well as the sweeping views. Lake Balaton is known as the Hungarian Sea, as in this land locked country there is no actual sea or coastline to be had. The lake is a great spot to sightsee, take a boat out or simply relax amid the beautiful scenery and is located southeast of the capital. 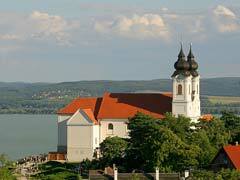 Eger is a town with a rich history in castles and of course, bathhouses. They do their part for Hungarian tourism with the Eger Castle, which is a 13th century medieval castle. This area also includes a museum of the history of the region, has ruins and the dungeon where torture devices are housed. They also offer wine tastings and of course tours of the grand castle for a look back into how people used to live. Also in Eger is the Mineral Bath Pool, a complex of pools, saunas, kids’ pools, a hammam which a Turkish variant of a steam bath, and pools that can be enjoyed year round. They also have an indoor wellness center offering saunas and massages that those traveling to Hungary can enjoy. The Aggtelek National Park is home to an amazing 20km of caves and caverns to explore. The guided tours are offered in various lengths and some are even done mainly by flashlight. This World Heritage Site lends itself to spectacular rock formations and natural beauty that you just can’t get anywhere else. Close to the Slovakian border, to Hungary’s north is the town of Miskolc where tourists to Hungary will find the Cave Baths of Miskolc Tapolca. Just like the above ground mineral pools and bathhouses, this site offers all the benefits with a slight twist; it’s underground. This impressive set up of caves, caverns and mineral pools allows for a therapeutic soak amid the rock formations and muted light that comes with being below ground. 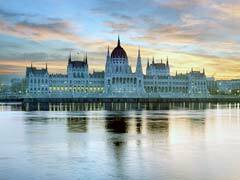 Hungary is one of the countries that the Danube River runs through and as such, Budapest is one of the gateways of this famous waterway. Travelers to Hungary can choose a vacation within a vacation when they go with Viking River Cruises on one of their offered 8 day sailings that allow stops in 4 countries and various ports, or shorter cruises that are offered with other companies that allow you lunch, dinner or midnight cruises on the river. These shorter jaunts usually include live music as you travel around as well as fine dining and dancing. Whether you are looking for that romantic vacation, that historical trip or just a chance to relax and be pampered, Hungary has it all, all in one compelling vacation destination.